Famous and infamous people are dying every day – Hugh Hefner, Malcolm Young, Charles Manson – but there is nothing newsworthy in their estates. Digging somewhat deep, it has been reported that notorious Las Vegas mass murderer, Stephen Paddock, did not leave a will to dispose of his reported $5 million estate. 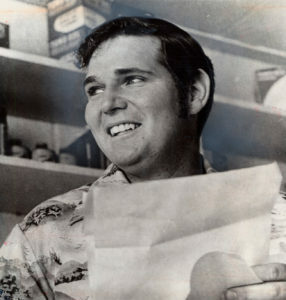 A Clark County, Nevada court had a hearing last week to determine who should administer his estate. Paddock’s 89 year old mother has declined to serve as administrator. It is likely that the Clark County Public Administrator, an elected official, will fulfill the responsibilities. The court will eventually determine who is to receive the estate proceeds. 1. The complexities of dealing with the issues in this case are certainly above the ability of an 89 year old woman. 2. 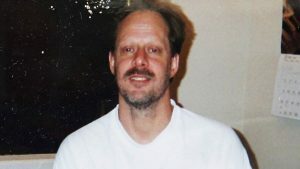 As meticulous as Paddock seemed, it might appear surprising that he did not have a will. However, maybe that is one more facet he thought through – he did not want to burden a familu member with the task of administering his estate. 3. With respect to who will eventually receive his estate, I am betting on the lawyers. 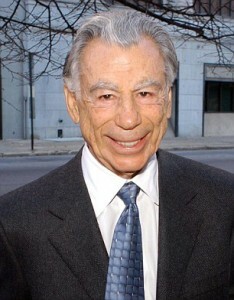 Las Vegas billionaire Kirk Kirkorian died last June a the age of 98. His $2 billion estate has been subject to litigation since his death. A young woman who claimed to be his daughter, but was proven long ago to be the child of the notorious lothario Steve Bing, recently settled her challenge to Kirkorian’s will. Non-paternity notwithstanding, Kirkorian paid $50,000 per month in child support to Kira Bonder until she was 10. As part of her mother’s divorce settlement with Kirkorian after their 30 day marriage, Bonder was supposed to receive $7 million in trust upon Kirkorian’s death. Nonetheless, she challenged that provision and settled for $8.5 million. 1. As the daughter of another man, Kira Bonder was not entitled to any of Kirkorian’s estate so challenging a bequest seems to be without legal merit. 2. For Bonder’s sake, I hope that the attorney who handled the will contest charged her based on time spent or on contingency for the increase from $7 million. It would not be fair to her to have to pay him a percentage of the $7 million she was promised and provided. 3. The first dollar Bonder receives from Kirkorkian will likely be more than she ever receives from her biological father who also contentiously fathered a child with Elizabeth Hurley. 4. What happens in Vegas is not necessarily applicable to the rest of the U.S. When Britney Spears had her breakdown in 2008 (think shaved head and window smashing), her father and attorney became her conservators. In Ohio, they would be known as guardians. They manage both her physical well being and her finances. As such, they make sure she takes her medicine for her unspecified illness as well as manage her career. In recent years, Britney, who has been described as shy has not testified at hearings about continuing the conservatorship. She reportedly is only interested in seeing her sons. Her father receives 1.5% of the $17.5 million annual revenues from her Planet Hollywood shows and the same cut from the merch sales. Her court appointed attorney has received $2 million in fees since 2008 and the other conservators have received $6.7 million. 1. Britney clearly needed someone to assist her in 2008 while she was crumbling. She is likely still alive, while Michael Jackson and Prince are not, because of that. 2. Guardianships can be temporary and Britney’s seems to be a perfect example of temporary intervention being all that is required. She should have the right to make stupid decisions on her own. 3. I doubt that I am the only one who read the NYT article who thought that Britney was nothing more than a trained seal performing at the behest of her inner circle for the reward of seeing her sons.